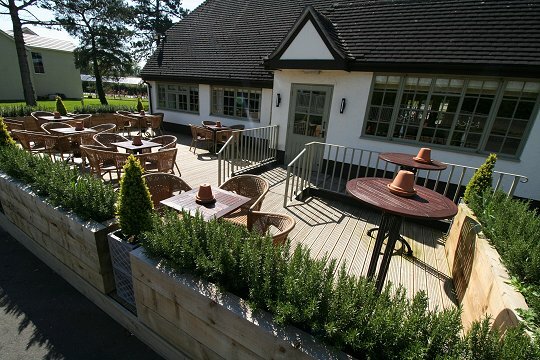 Terrace with its own outside garden bar open in the summer + large grass area behind too with kids play area. Just the place for all the family, especially before or after visiting neighbouring Coate Water or the Richard Jefferies Museum. 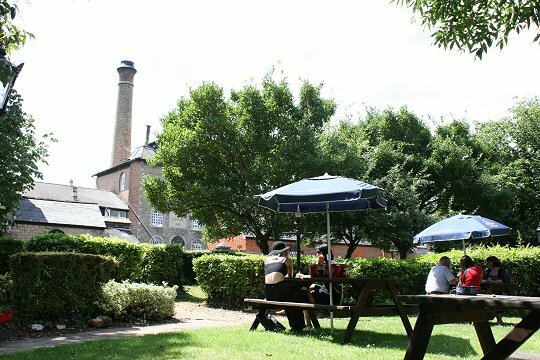 The garden includes a children’s playground and on sunny days the barbecue area is busy. 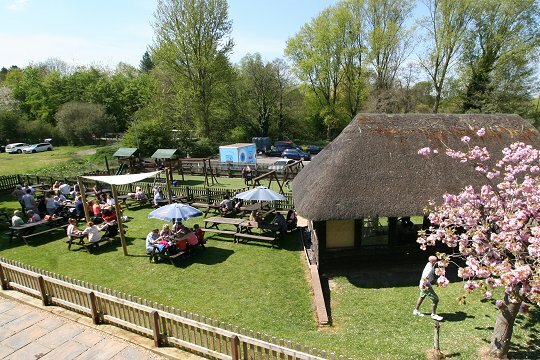 You may even catch a live band playing outdoors in the thatched shelter. 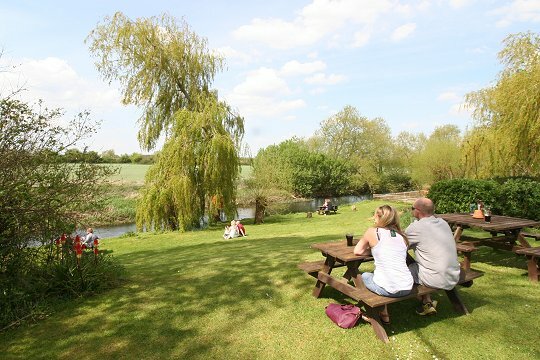 The first pub on the Thames at Castle Eaton makes this another country pub well worth the drive or cycle-ride. 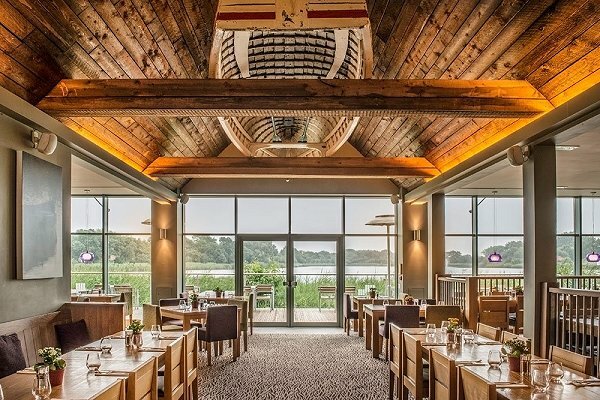 Add in some very good cooking and riverside views and you almost have the perfect summer destination for drinking & eating. 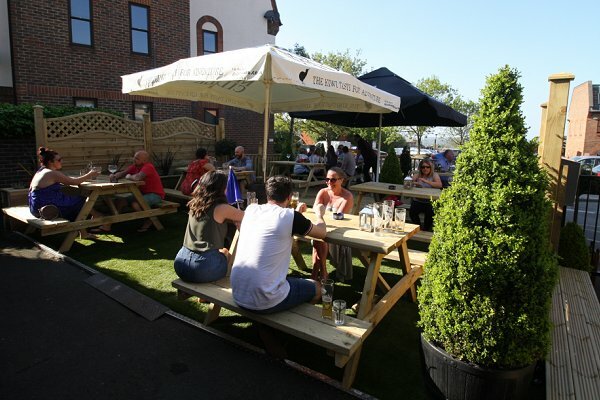 Drive past The Kingsdown and you'll only get a sneak peak of their wonderful pub garden. 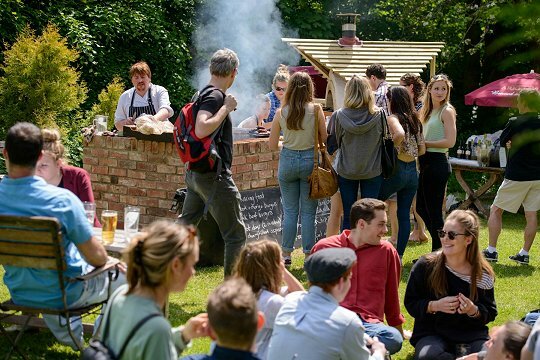 It's one that locals and visitors in the know have enjoyed for years - whether that's a quiet drink with family and friends, a live music event or the chance to enjoy the pub food al fresco. A hidden gem with its own real ale bar at the back of one of Old Town’s busiest pubs. Good food as well + ideal for small private parties. 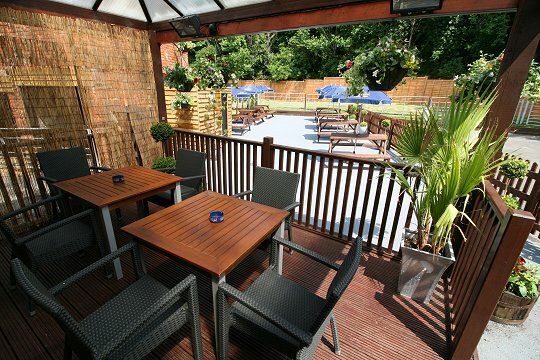 Bang opposite the train station in Swindon town centre, this sun trap is the perfect place to enjoy a swifty before catching the 7.14pm to Paddington. Good food served at lunchtime & evening from Monday to Friday too. 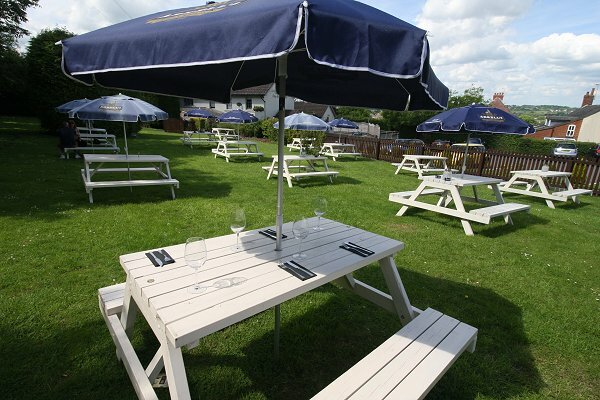 Well worth the drive just up the road to the White Horse Hill, where you can enjoy homemade pizza in the garden & drinks! All refurbished for 2019 alongside the bar indoors. Excellent menu here. 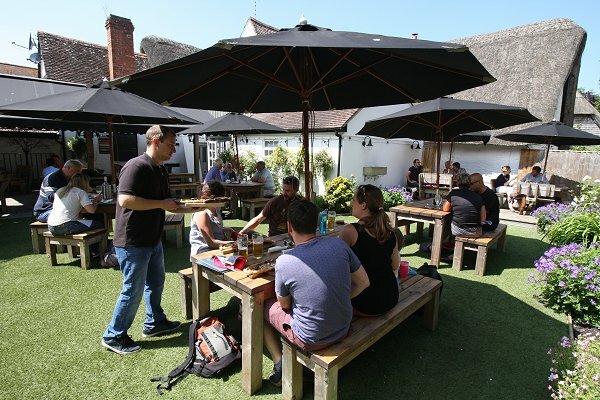 Whether it's an evening pint or a lunchtime soft drink, the new decked terrace at The White Hart is the ideal place to unwind with friends and family. This terrace & lakeside view make the short drive down the A419 from Swindon well worth it. Food served all-day. Just the right mix of sun & shade on the terrace at Sally Pussey's. 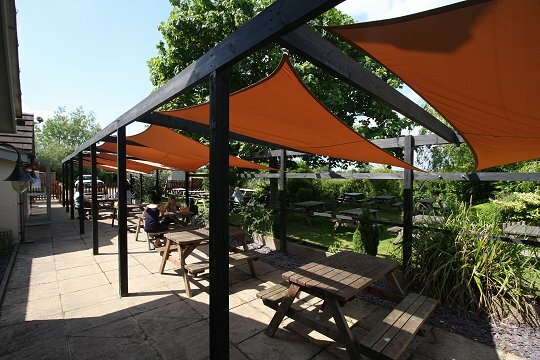 Ideal for al fresco dining! 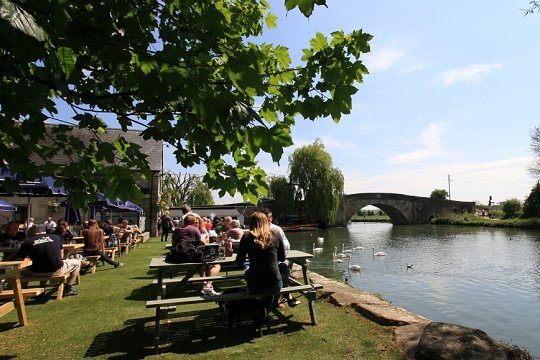 Right on the Thames at Lechlade with food served all day, plus a very useful quick-service garden bar at weekends with bottles on ice. 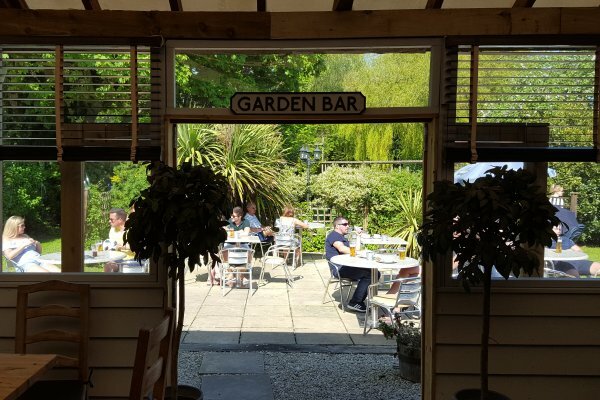 One of the best pubs in the area for food, the garden makes the ideal place to eat al Fresco or just enjoy the afternoon with a swifty or two. Farmyard animals in their own paddock too! 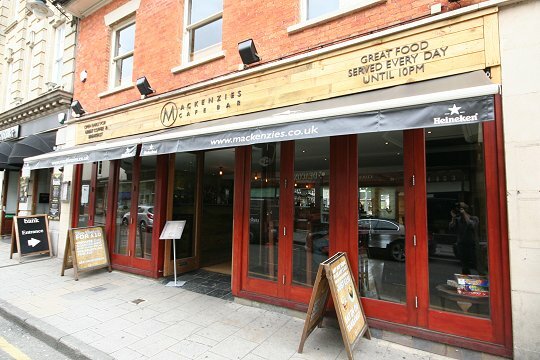 We couldn't do a guide to Swindon's top places to enjoy a summer drink without including Mackenzies because it's been one of the best and most popular locations when the sun's out for over twenty five years. Ideal as well come evening and night time with its very own bar open 'til late. 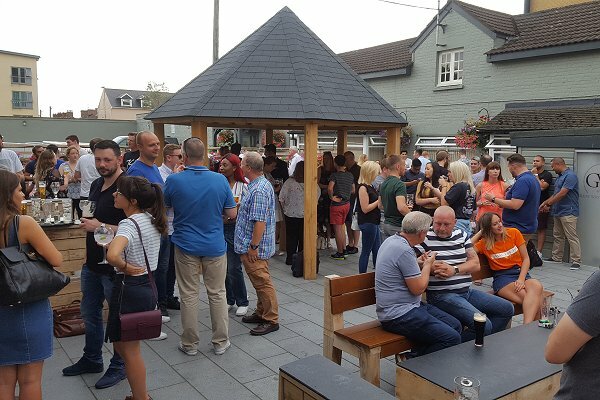 Back to its best after a major refurbishment, The Clifton Hotel, just off Kings Hill, is the place to relax, enjoy a drink and catch up with friends. 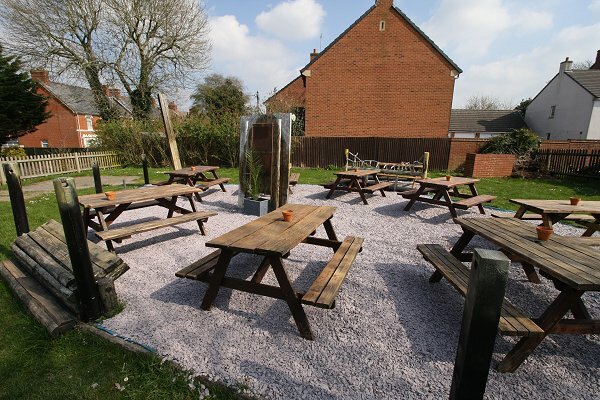 With views of the White Horse at Uffington on a summer's day, this pub take a lot of beating. Garden room very handy if it starts raining. 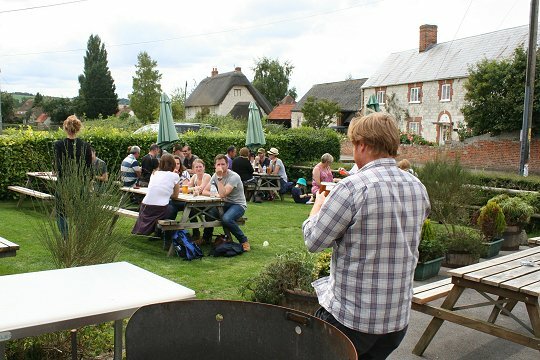 A genuinely unspoilt and much-loved pub which the Michelin Guide recommend for its good food. But it has even more to offer in the summer months because of its front terrace & friendly little garden where you can enjoy weekend barbecues - and even camp with pigs in late August!